According to police in Philadelphia, a 19-year-old man was targeted by three robbers after he posted on Facebook and Instagram about an inheritance of jewelry he had just received. The three robbers kicked down the door of the victim’s home at 2:30 a.m. Saturday morning, making off with a Rolex watch, several gold chains and mobile phones. Thankfully no one in the home was hurt, but the robbers have not yet been caught. According to the Hickory Record, the robbers were caught and during the questioning, they mentioned they had heard about the inheritance. Clearly the young man who received the inheritance never intended for strangers to know about his good luck. This is a case of not having Facebook privacy controls set appropriately. 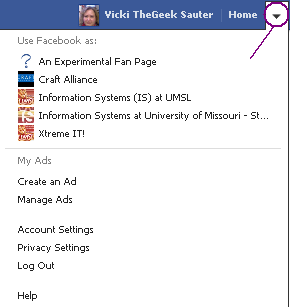 To check YOUR settings, go to the small arrow at the far end of the blue border at the top of your Facebook page. Click the arrow and select “Settings” as shown below. At that point,select “Privacy” from the left menu. You will see a screen that begins with “Who can see my Stuff.” If you have not already set it, this probably says “everyone.” If so, edit it and and select the “custom” button. You might want to set that to just your friends, or friends of friends. Or, you can set it so that only specific people can view what you post. If you have something valuable, such as the jewelry inheritance, you want the post to be sent only to your friends, and maybe not even all of them. You can use your lists of people to narrow the group further. If you have it set as “everyone,” not only can everyone who happens on your page read it, but they can also share it with everyone they know. With this kind of visibility, it is not surprising that the bad guys got the news. You need not adjust those settings the same for everyone. But, for valuables or for photos of children (especially with other information), it is best to limit the range of people who see your post. Yep, “phishing” is a real thing, and you pronounce it the same as “fishing”. Like fishing, phishing uses bait in an effort to hook something. Unlike fishing, phishing doesn’t look for fish, but rather for sensitive information. Phishing attempts to use an apparently trustworthy request to gain usernames and passwords to get access to more computers and/or credit card and other financial information to get money. A game or lottery. In this kind of phishing, you may get an email or a Facebook post that claims you have won money. Unfortunately, to get to the money, you must send them money or access to your bank account. A request to confirm your account These emails or social networking program ask you to log into a system that appears to be the legitimate. Often these are sites that are appropriately branded and look as you expect them to be, but aren’t. Never click on a link in the email or social networking message; the site might not take you where it appears to be. The better approach is to log in manually. So, if the message appears to be from Facebook, don’t click on the link, but instead type in http://www.facebook.com and proceed from there. A violated policy alert. You may note an email or Facebook post that claims you have broken some policy in your email system, Facebook or some other social networking system. These always ask you to log in and do something. Always navigate to the site manually. Don’t provide information unless you are sure you are on the correct site. Photos and Videos. It is quite common for people who have hacked one account to try to get more information by sending information to contacts that appear to be from the original owner of the account. These messages might claim to have videos or photos of you that are not appropriate. Or, the message might claim to have photographic proof of some gory or sensational event. These are almost always an attempt to get access to your account. You should ignore t hem. Before logging in to any site, always verify that you are indeed on the main site. Careless and unsuspecting users are often fooled by these tricks. Ignore it, it is one of many hoaxes that appear on Facebook. As I understand it, the law cited has to do with commercial law, and does not address anything about privacy in Facebook or otherwise. BUT, the hoax does remind us of an important topic, Facebook Privacy. 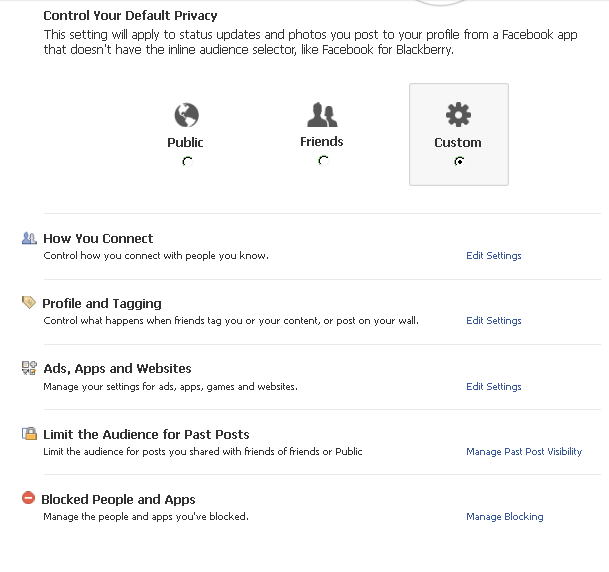 Your privacy in Facebook is controlled by you through your privacy settings. To find your privacy settings, look for the small arrow on the top right hand portion of your Facebook page, circled in the image below. If you click on it you should get a listing of pages you own and some options. This literally shows who can see you and request friendship or send messages. In my case, I have left these settings open. I have provided no telephone numbers, so there is nothing to see. If I provided phone numbers, though, I would make sure only “Friends” could see the numbers. By leaving open the email address, this allows people to find me by searching on the email. I do know people who have limited who can send friend requests to only friends of friends. It does limit the number of times you get friend requests, but it does limit your network to people in certain categories of your life. If that is what you want, then button it down. 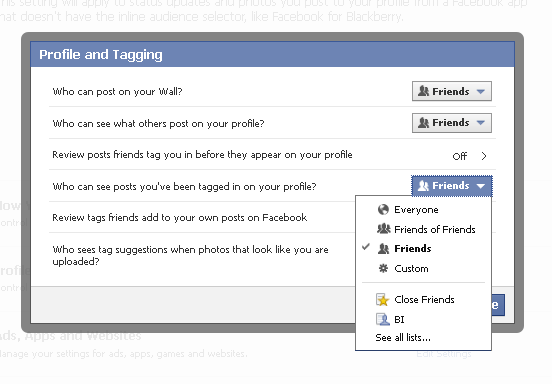 The second category is what people can post in the profiles or how Facebook controls tagging. As you can see from the drop down box, in each case you can show the information to everyone (who has a Facebook account), to Friends of Friends, or just Friends. In addition, you can limit it to people on certain lists, or even specify the friends using custom. For example, I have limited who can post to or see my wall to Friends. Although little of what I post on Facebook is too personal, I do not want everyone in the world being able to read it. Limiting it to my friends does give me some control. Now, what if you want to limit a specific post or photo? 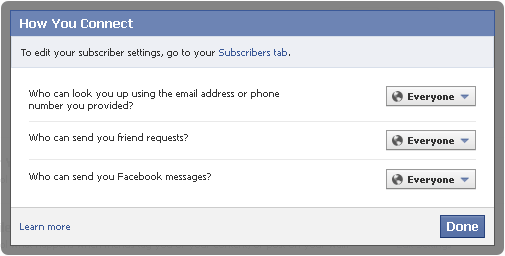 Facebook does give you the ability to do that individually through the inline audience selector. When you are posting, there is a blue menu at the bottom of the post as shown below. Using the small arrow, you can select who can see the post to limit it to only some people, all your friends or everyone. This gives you individual control. A WORD OF WARNING: While it is important to control your privacy settings so that unintended people do not get control of your personal information, you need to remember that once something is posted, you lose control of that information. People who can see your post can easily re-post it or save it and post it somewhere else. This is not a case of “What happens in Vegas stays in Vegas.” Rather, it is a case of “it is on the Internet FOREVER.” Before you post, think carefully about how much of a problem you might have if the information ended up with your boss or co-workers, a potential boss, members of your family or whatever. It might not be a problem today, but if it stays there forever, you might find it to be a problem later. Social networking sites pose a threat to the privacy of every individual. We love the sites because they allow us to share information and photos easily with our friends and family. Many people also learn to hate the sites because their information suddenly is used in ways that the individual did not know could happen. I have written before about the need to lock down your privacy in social networking sites, especially in Facebook. Opportunity to comment and vote Unless we make a change for legal or administrative reasons, or to correct an inaccurate statement, we will give you seven (7) days to provide us with comments on the change. If we receive more than 7000 comments concerning a particular change, we will put the change up for a vote. The vote will be binding on us if more than 30% of all active registered users as of the date of the notice vote. That 30% hurdle is pretty significant, but you should voice your opinion by voting on the referendum by June 8 at 9:00pm (PDT). To do this, go to https://www.facebook.com/fbsitegovernance/app_130362963766777. When you come upon that page, there are four documents to consider, the current Statement of Rights and Responsibilities (SRR), the current Data Use Policy, the proposed Statement of Rights and Responsibilities (SRR), and the proposed Data Use Policy. Clearly, the proposed documents do not tighten the scope with which they protect data. Instead the documents outline how Facebook will increasingly use more of your data in ways you did not intend. While it is not clear that voting will make a difference, I suggest you vote BEFORE June 8. I voted to keep the current documents and hope you will too. 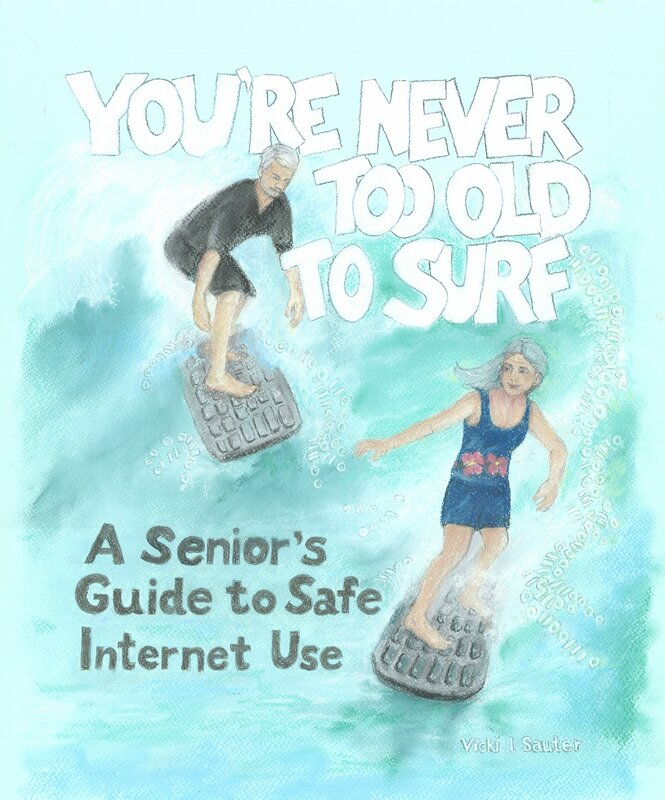 There is good news for those of us who use email, smart phones and social networking sites! Legislation was introduced in both houses of the (U.S.) Congress today that would prohibit employers or prospective employers from forcing employees or prospective employees to divulge passwords. The good news is that both houses think this is a problem and are acting to do something about it. The bad news is that the bills differ. The Senate’s version is called the Password Protection Act and is sponsored by Sen. Richard Blumenthal, D-Conn also includes smart phones, private email accounts, photo sharing sites, and any personal information that resides on computers owned by the workers. Rep. Ed Perlmutter, D-Colorado introduced similar legislation in the House. However, last month, Rep. Eliot Engel, D-N. Y. introduced the Social Networking Online Protection Act (SNOPA) that extended the protections to elementary, high school and college students. The ACLU supports this inclusion of students because they are a target of much of the social media monitoring. There have been a number of reports about employers requiring new applicants to give their username and password as part of the hiring process. The same has occurred at some schools and universities,” Engel said in a statement. “Passwords are the gateway to many avenues containing personal and sensitive content — including email accounts, bank accounts and other information, he added. Of course, the legislation also protects employers in that it prevents them from accidentally learning information about a candidate that is not allowed to be considered in a hiring decision. These are positive steps to protect our civil liberties. “If the Fourth Amendment’s warrant requirement applies merely to surveillance of one’s location in public areas for 28 days, it also applies to the District Attorney’s effort to force Twitter to produce over three months worth of a citizen’s substantive communications, regardless of whether the government alleges those communications are public or private,” wrote Twitter in its motion. Twitter also suggested that Harris owns his own tweets and could therefore file a motion to quash on his own, despite the prosecution’s assertion of the opposite. The fourth amendment should protect us from arbitrary search and seizure of our own information. Just because it is easy to access (because it is electronic) does not make it right to do so.